Victor & Victor CNC heads are used by many of the best racers in the country and are the best choice for all-out competition. Edelbrock engineers work with leading racers like Billy Glidden, John Urist & Pat Musi to produce the ultimate components for racing. The end results are competition Victor Series Heads feature race wining technology, Right Out of the Box. 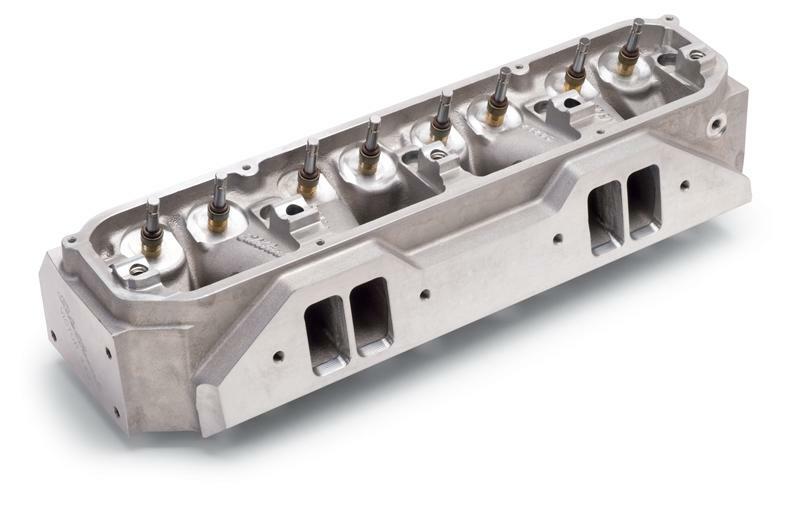 Victor Jr. heads are compatible with OE valve train and pistons for bolt-on convenience while Victor heads feature raised runners, revised chambers & relocated valves for all-out competition. Victor Pro-Port CNC heads are fully CNC ported versions of Victor heads if you’re looking for maximum power.